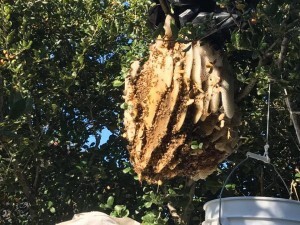 Today I assisted Art Hall with the rescue of a beautiful hive from a tree at Stanford University. I am so happy that the university had someone capture and protect the bees rather than have them killed. 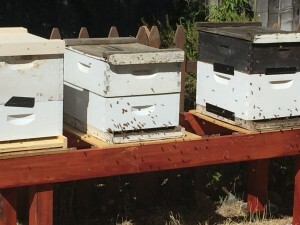 It is my hope that it becomes standard procedure to protect wild hives and swarms. Once we took down the hive and got the bees safely into a box I moved the box into my apiary. The extra comb will used to make beeswax candles. I look forward to this hive growing and in the spring I can harvest the honey. Join our email list to get updates on our classes and events.